Ok, so for some reason you still like mining, I know I like it too but it can get dull. This guide outlines your skill plan to fly your Retriever and also the necessary modules to fit it. If your just thinking about getting your feet wet check out my Basic Mining guide first. The first noticeable difference between starting out mining and moving into mining as a career is the isk. Your going to have to invest a lot more iskes if you want to step up your mining game. Although maybe not as much as it would cost you to get rolling into say Level 3 or 4 missions. This skill plan gets you flying your Retriever and will enable you to outfit it with everything you need to get started really mining. If your going to keep at the mining thing, keep training up your Mining Barge skill as that will allow you larger cargo space to haul your ore, giving you more time in space and less time traveling. Increasing your Mining skill to 5 and also taking the long skill train of Astrogeology to 5 will give you better yields on your cycle times. You are going to need Electronics up to level 4 before you can online all three Mining Laser Upgrades. Also as an option you can get Cybernetics skill up to 1 or as high as 3 if you want to invest in the Inherent Implants 'Highwall' Mining MX-1001 for 1% mining yield increase or the more expensive 3%. 33,576,500 isk The big cost here is the Retriever. I would suggest keeping your cash until you have skilled up to fly the thing. 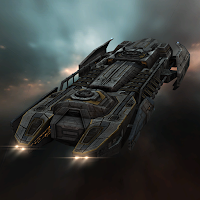 Because there is nothing as fun as 31 million isk ship sitting in your hanger that you can't even fly. The first thing to note is the 12 days training time to actually get into the Retriever that isn't to bad considering a lot of the skills you train will help increase your mining yield. As far as mining is concerned your strip miners are going to be running on a 180 second cycle time. You won't have to be as diligent at watching your roids as you were in your mining frigate. The other nice thing is your giant ore bay, which increases in size as you up your Mining Barge skill. You can stay out mining a little bit longer than your frigate but the strip miners bring in a lot of rocks and fast so you will still be flying back to station if your flying solo. You can spend about an hour mining and make 15 to 20 million depending on the yield your skills will give you and what asteroids your mining. Its not a bad way to make some cash, I started out mining myself.